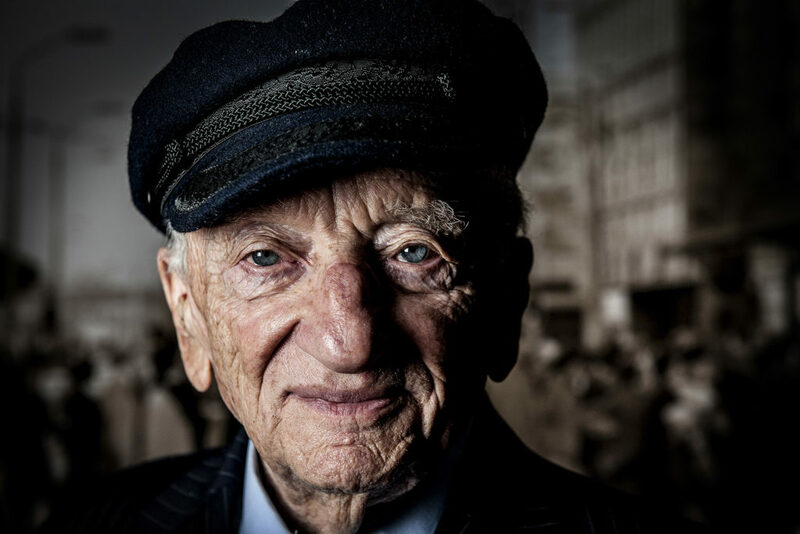 Barry Avrich’s new documentary Prosecuting Evil: the Extraordinary World of Ben Ferencz is a Holocaust film with a difference: this one has a happy ending. Ferencz was in his early twenties, when he witnessed the aftermath of the one of the worst atrocities in the 20th century, the Nazi death camps, as they were being liberated at the end of World War Two. A poor Jewish boy from Manhattan’s Hell’s Kitchen, Ferencz had graduated Harvard Law School on a scholarship and was glad to play a role in the war that destroyed the Nazis, which concluded with his work on war crimes for General Patton. When asked to participate in the Nuremberg Trials as a legal counsel to General Telford Taylor and latterly as Chief Prosecutor for the Einsatzgruppen Trial of a group of “distinguished” mass murderers, the already demobilized Sergeant Ferencz was more than pleased to return to Germany to serve the Allied causes’ attempts at promulgating universal laws. His desire to render justice on an international scale was born during those passionate and committed times. Now nearly 100, the still lively and brilliant Ferencz is the compelling subject of Avrich’s doc. A former legal professor as well as a lawyer, Ferencz is a great storyteller. Avrich takes full advantage of Ferencz’s autobiographical account to juxtapose historic footage of Germany before and after the War and commendations of the feisty nonagenarian by such notables in the legal and humanitarian arenas as Alan M. Dershowitz, Rosie Abella, David Shaffer, Fatou Bensouda, Christoph Satterling and Ferencz’s own son and lawyer Don. We learn that Ferencz regularly asked his four children what they had done for humanity that day. Prosecuting the Nazis hadn’t turned Ferencz into a vengeful soul; quite the opposite, he took away from his years in Europe a grand idea, that there should be universal justice presided through a World Court. Needless to say, it took decades for his dream to become true, but in the end, it has taken place in a truncated way at the Hague. Participating in the summation of the very first case at the World Court was none other Ferencz, still going strong after more than 60 years after his first trial. A cliché about some of the best documentaries is that truth is stranger than fiction. That’s the case with the story of Ben Ferencz, who has spent a lifetime seeking justice for humanity. With this story, Barry Avrich, a veteran whose work has ranged from films about Harvey Weinstein to documenting Stratford’s classic plays, has found his greatest subject to date. He has made Prosecuting Evil into a gripping and absorbing film, one that deserves praise for its depiction of Ferencz and his search for universal justice.